Power Rev Racing – 06+ Civic Si Throttle Body Spacer! 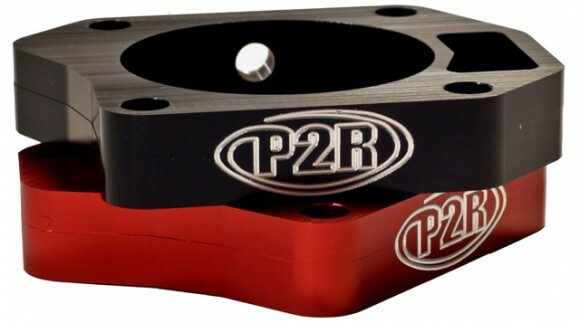 P2R now offers the 06+ Civic Si Throttle Body spacer in 70mm. Only available in Red & Black. Increase horsepower and torque with this 3/4 inch throttle body spacer. Tests on a 06 Civic Si produced a 4.5 horsepower gain at the wheels! Our spacer comes equipped with a 1/8th inch NPT threaded port at the bottom that can be used as an extra vacuum port or nitrous. Includes extended bolts, plug, and is anodized for a brilliant show-quality look.